So you've got some empty space in the stockroom or your storage area is full to bursting with boxes that you can't access. 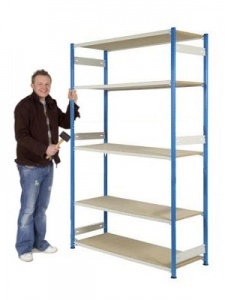 Or perhaps you have some existing racking that is a bit unstable and it is time to upgrade - so what do you do? 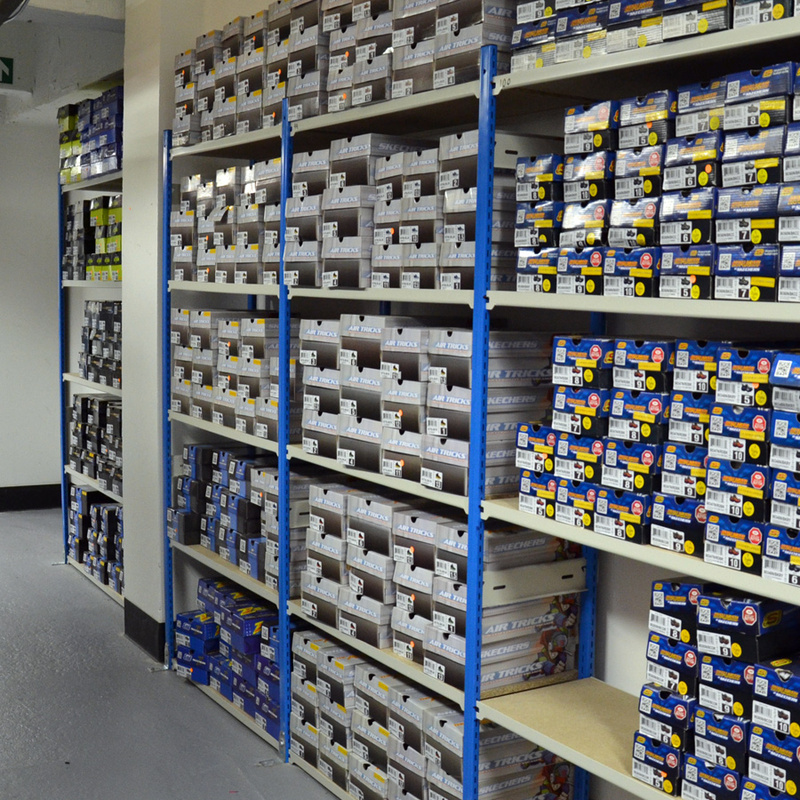 The answer is to choose the E-Z-RECT Trimline shelving system to help you get your stockroom properly organised and able top cope with the demands of your growing business. Trimline boltless shelving comes with an inherent strength and stability that only a commercial grade storage system can provide, yet also allows the maximum amount of stock to be stored thanks to efficiently designed steel components. 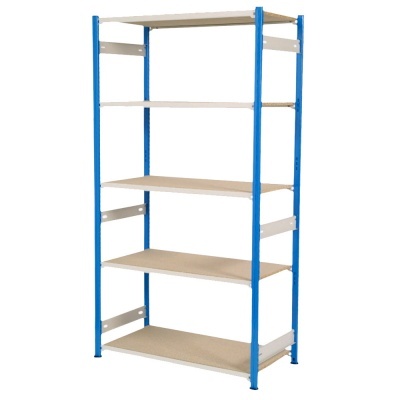 These features make it the perfect choice for busy stock rooms of any size and once installed you can rest assure that the shelving system will last as long as even your best selling product lines. 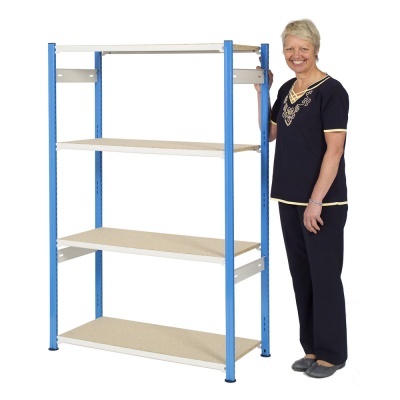 Standing at 6ft high (1830mm) and with a choice of 5,6 or 7 shelves this particular shelving bay is one of our most popular - providing a good amount of storage capacity without the user needing to use a step ladder to reach the top section. 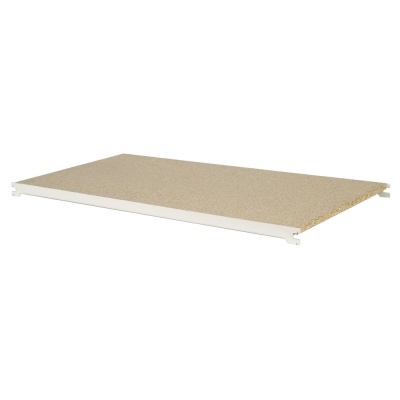 Each shelf level is made from steel support beams front and back that simply slot into the posts at intervals of 25mm (1"), a strong piece of chipboard drops into place to complete each level ready to securely hold your stock. Choose a full starter bay for a single standalone unit and then add cost effective add-on bays that are supplied with one less end frame to create connected bays of shelving. 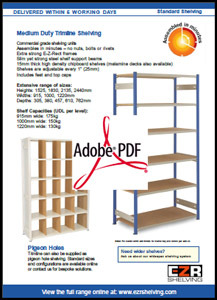 We have 15 size options to allow you to tailor your shelving to suit both your stock profile and the store room, if you need any assistance please give us a call. Please note: Add-ons can only be connected to starter bays of the same depth. Important Safety Note: We advise that if the height to depth ratio exceeds 5:1 the shelving unit(s) should be floor or wall fixed. On this particular product this only affects bays with a shelf depth of 305mm (12").